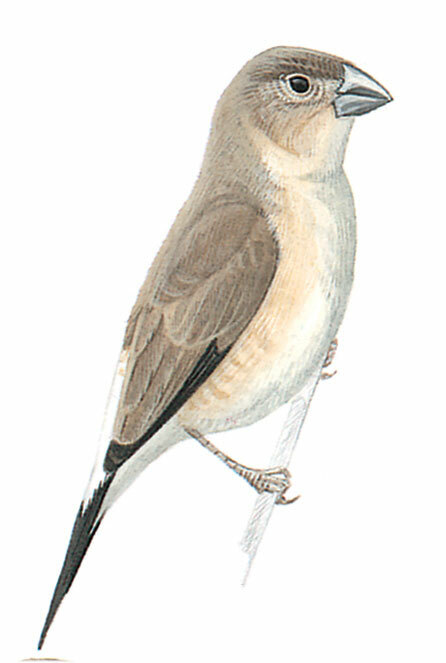 Small brown and whitish finch-type with large conical silver-grey bill, prominent eye and pointed black tail. Juvenile has pale edgings to wing feathers. Fairly tame and often in small groups, sitting close when perched, with tail waving and flicking. Light flight with small undulations.